E ady Caroline Willis was the fifth (known) child of William J. and Judah Collins Willis. She was born August 19, 1839 in Fayette County, Alabama. Her parents were both born in South Carolina and had moved to Alabama between the birth of her brother, Jabez, about 1830 in South Carolina and her sister, Martha, born in Alabama in 1833, along with her grandparents, John M. and Edith McCarter Collins, and several other Spartanburg neighbors. 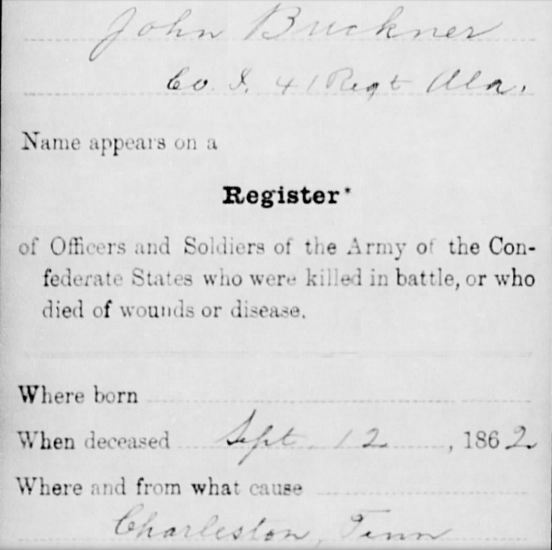 Caroline’s mother, Judah, died in about 1842, possibly in childbirth, and her father married his sister-in-law, Amy Edith Collins, in about 1850. William and Amy Collins Willis are my great-great-grandparents and Eady Caroline was my half-great-grandaunt. 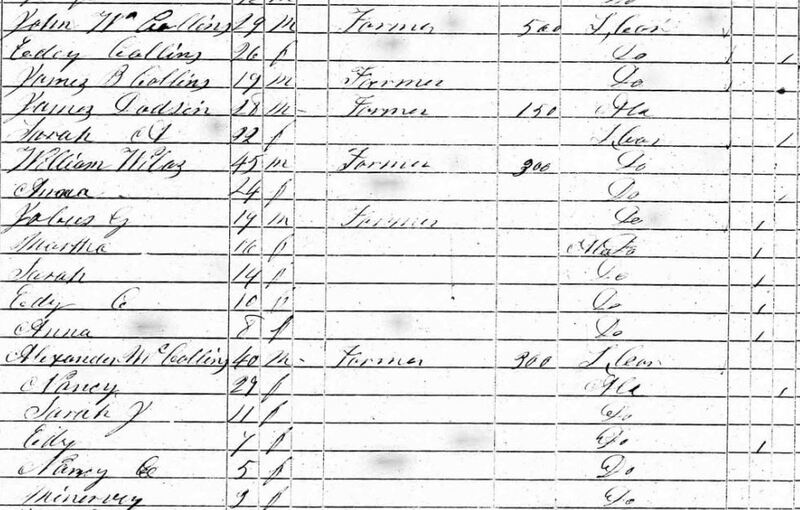 An interesting, but unexplained [to me], note for anyone who may have noticed the variation in spelling on the Ballenger last name – although James Hamilton and David Jasper Ballenger maintained the spelling with the center ‘e,’ James William and his descendants use the center ‘i’ making their name Ballinger. The Fayette County road named for the family and on which several of them still live is the Ballinger Road. Conley states Hamilton was both a farmer and a stonemason and Caroline and Hamilton set up housekeeping in the general area where their parents lived. They had two sons fairly soon after their marriage: James William (Jimmy) born on January 8, 1860 and David Jasper (Buddy) born March 10, 1861. 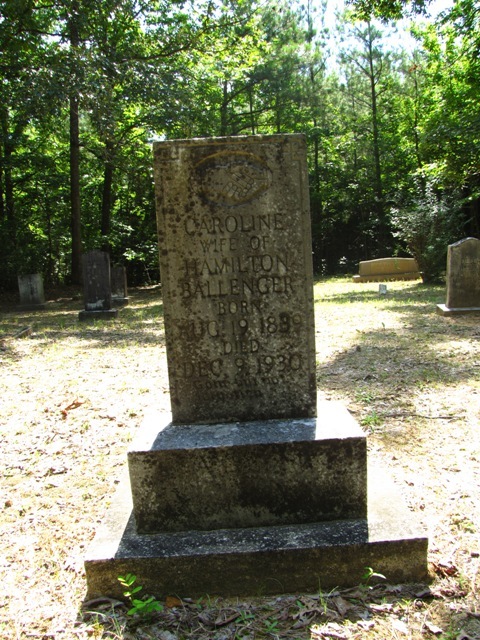 When her husband, Hamilton, enlisted in the Confederate army May 3, 1862 Caroline was left to take care of the home, farm, and their sons during his absence. Hamilton wrote a number of letters to her, which she kept in a trunk at her home for the rest of her life. Both copies and transcriptions of his letters have been printed in the book written by her great-grandson. The letters indicate he offered both advice on how to manage in his absence, and commendations for the way she handled her responsibilities. In a letter written by T.K. 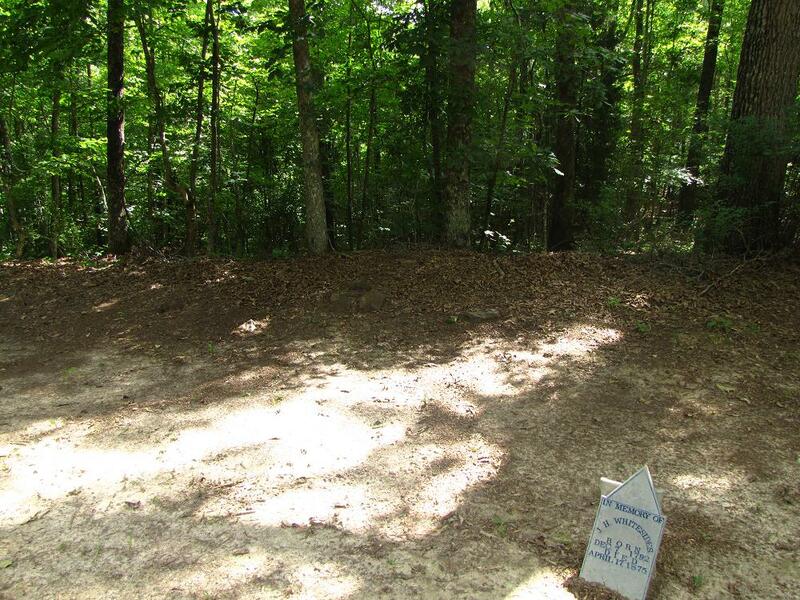 Godfrey on April 27, 1863, Caroline received word that Hamilton had died on April 25 from pneumonia in Strawberry Plains, Tennessee and had been buried there. That letter is also copied and transcribed in the Ballenger family book (pages 94-96) ; it is a wonderfully written and compassionate account of Hamilton’s passing, aimed at easing the pain of loss for his family. Following Hamilton’s death, Caroline and two other widows – her step-mother, Amy Collins Willis, and her sister, Sarah Collins Graham, lived together for many years in order to provide for their sons. The location of their shared farm land was approximately at the intersection of Old Gin Road and Ballinger Road. As the boys grew, they took over a large share of the labor involved in making a farm equal to the charge of providing for their families. Caroline’s sons married two Bobo sisters, Sally Trophesie and Judy Della. Bobo. Jimmy and Sally had six daughters and one son, while Jasper (Buddy) and Judy had two daughters and one son, though only their daughter, Hassie, lived to adulthood. 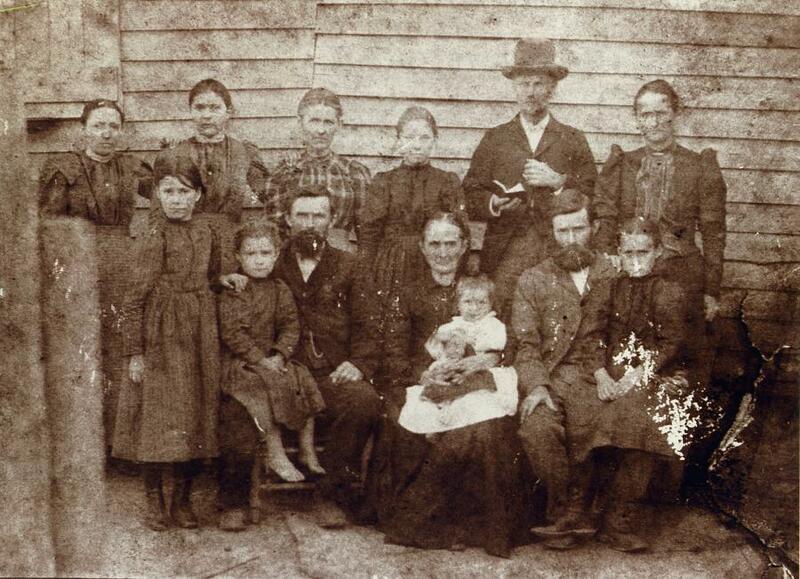 On our recent trip to Fayette County, Kay scanned a photo of Caroline with her sons, their wives and children [prior to the birth of her only grandson that survived] and her half-brother, James Franklin Willis taken approximately in 1900. Her sons and daughters-in-laws lived in separate homes on the land the boys bought on credit while they were still in their teens. Caroline lived in the home of her older son, Jimmy, for the remainder of her life. She died December 9, 1930 and was buried in the Old Mount Lebanon Cemetery where her father and perhaps her mother, her step-mother, and her son David Jasper were buried. Her other son and both daughers-in-law are also buried there, as is her half-brother, James Franklin. James Franklin Willis (1853-1926), who was my greatgrandfather, was raised by a single mother, Amy Collins Willis, after his father died just before he turned three. 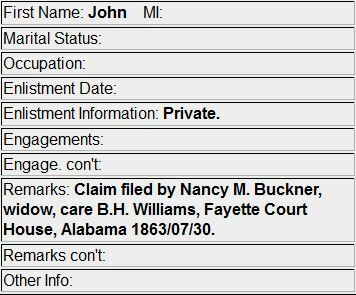 During the time of western expansion (always moving on toward a better life) he apparently lived his whole life in Fayette County, Alabama. 1890 J.F. Willis was listed as one of eighteen ordained pastors reported at the 20th Anniversary of the Baptist Association that was held Mt. Pleasant Church beginning October 11, 1890. 1891 At the 21st Anniversary of the Baptist Association held at the Pleasant Hill church on Oct. 10, 1891, J. F. Willis delivered the opening sermon. 1894 In the Alabama Baptist Oct 25, 1894 the former moderator was absent, J.F. Willis was elected and Bro. Zach Savage re-elected as clerk. … To summarize: J.F. 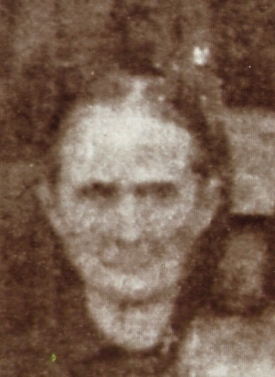 Willis was elected moderator at the 24th Anniversary of the Association that was held at the Salem Church in October 1894. 1897 J.F. Willis preached at the 27th Anniversary Association on Sunday evening. He was one of four who preached. J.F. 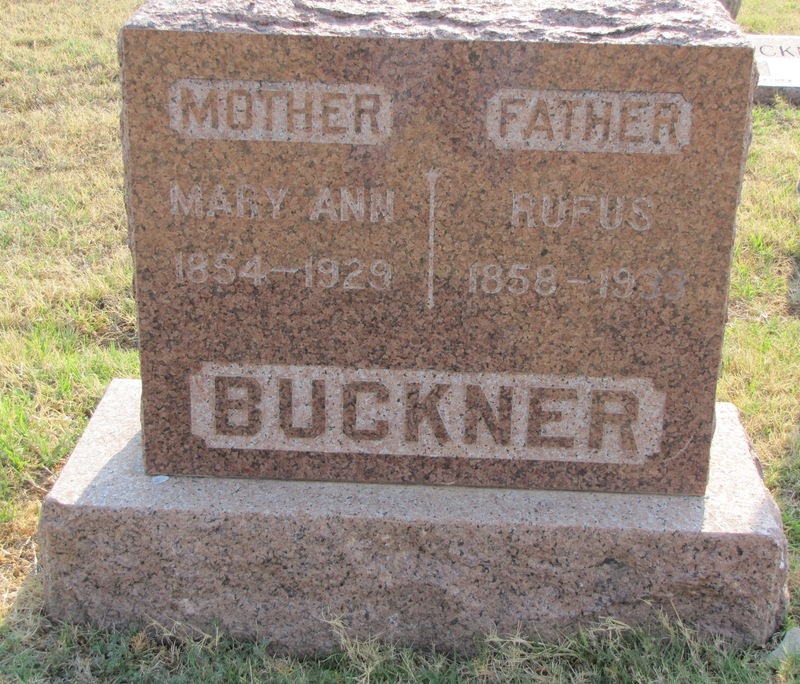 Willis and his wife, Mary Jane [Buckner], had six children; Zelda, Margaretta E., John William, Rufus B., Zedic Hamilton (known as Hamp) and Thomas R. Both J. F. and Mary Jane are buried in the Old Mt. Lebanon Cemetery, where he had served as pastor.